Looking for a quick and easy way to change the look of a room without paint? Consider a gallery wall. 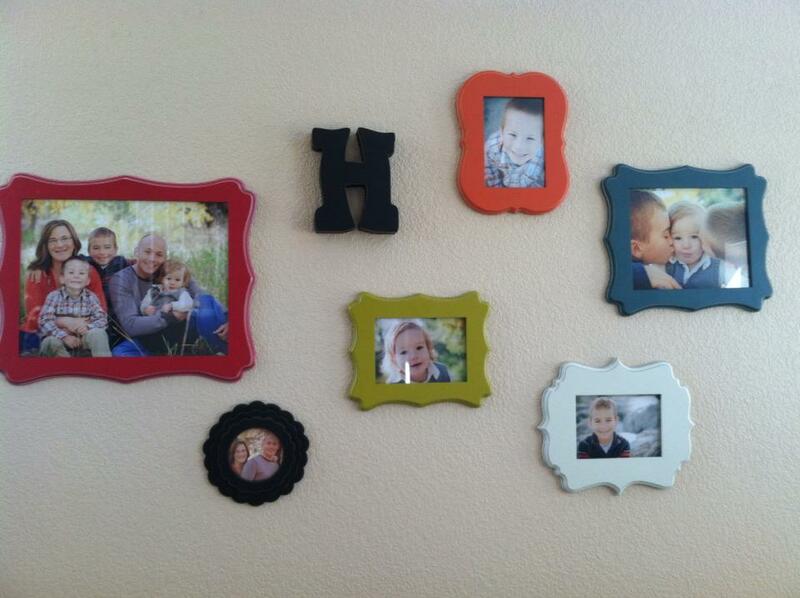 It’s a modern, fun way to display your favorite pictures and makes the wall the focal point of the room. I used multi-colored frames I found at Hobby Lobby to display our family portraits, but you can create a gallery wall with any frames, any color scheme, and any pictures. You can also add letters, symbols, sayings, and artwork in a gallery wall. The possibilities are endless. Search gallery wall on Google or Pinterest for inspiration. *The size of the wall you’re trying to cover. You’ll want to be sure you have enough frames to cover the space, but not so many that it looks cluttered. *The layout and spacing. How do you want it to look? Be sure you know exactly where you want each frame to go before you start putting holes in the wall. 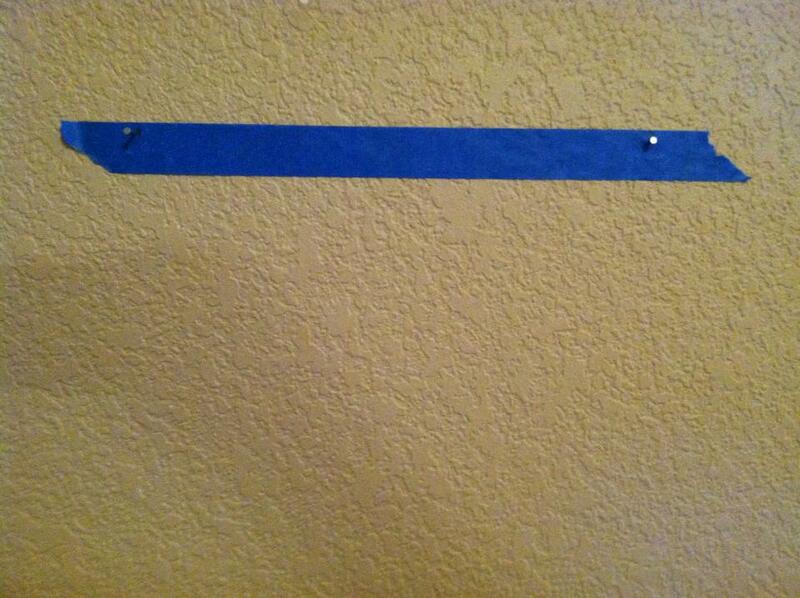 If any of your frames have two hangers on the back, the easiest way to make sure you put both nail holes in the wall in the right place it use painters’ tape. 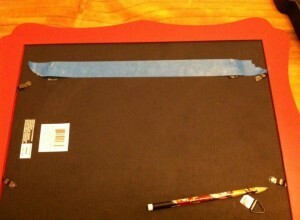 Put the tape across the back of the frame and make pencil marks on the tape for where both holes are. 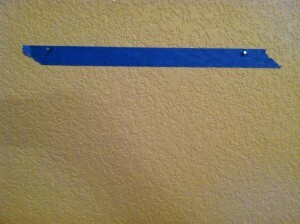 Then place the tape on the wall where you want the picture to hang and hammer the nails into the wall right over the pencil marks.